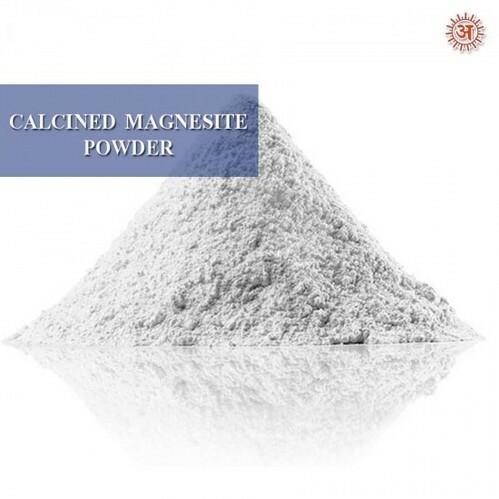 The Lightly Calcined Magnesite is chemically reactive material. The mineral magnesite which has been reduced to a powder by heating, i.e. calcined. It is used as a dietary supplement for cattle and sheep to prevent hypo magnesemia. Used for topdressing pasture with a similar objective. Established in 2006, we, Naveen Enterprise, are recognized as one of the leading manufacturer and trader of Industrial Chemicals, Graphite Products and much more. These are known for their precise pH value, purity and longer shelf life. Our offered range of chemical, mineral and food products are processed under the guidance of skilled team of professionals using pure ingredients and latest processing techniques. Our team of procuring agents procures the raw material from only reliable and certified vendors of the market in compliance with international quality standards. Further, procured raw material is stringently tested on various parameters to avoid any kind of discrepancy in offered products. These products are appreciated for properties like purity, non-toxicity, highly effectiveness, longer shelf life, precise pH value and accurate composition. ?